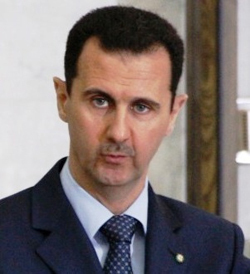 (Damascus, Syria) – Faced with economic sanctions stemming from its civil war, and facing possible airstrikes from the United States, the Syrian government of President Bashar al-Assad agreed to the Framework for the Elimination of Syrian Chemical Weapons in September 2013. The ultimate goal of the Framework, negotiated with the United States and Russia, was to rid the country of its chemical weapons stockpiles by June 30, 2014. On June 23, the last of Syria’s chemical weapons left the country for destruction. 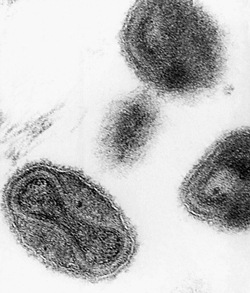 Today, a previously unknown sample of the biological agent smallpox was found in the United States. And now it’s Syria calling for economic sanctions – on America. 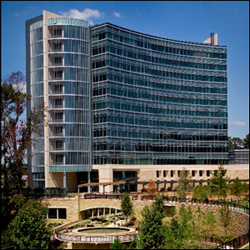 The Centers for Disease Control and Prevention (CDC) announced that a Food and Drug Administration (FDA) office found several vials of smallpox on the National Institutes of Health (NIH) campus in Bethesda, MD. “OMG!” exclaimed a FDA spokesman, speaking on condition of anonymity. The storage room containing the long-lost smallpox vials also held previously unknown records for Malaysian Airlines MH370. The Boeing 777-200 took off from Kuala Lumpur, Malaysia, bound for China, on March 8 with 239 people aboard. Its whereabouts remain unknown. “We’re hopeful the new records might finally solve this mystery,” said a spokesman for the National Transportation Safety Board (NTSB), speaking on condition of anonymity. However, the announcement of the smallpox find has made Syria’s government irate, as they suspect a double standard is being applied when it comes to agents that can maim and kill thousands with little effort. “Actually, Syria denied for years that it even had chemical weapons,” pointed out a State Department spokesman, speaking on condition of anonymity. As a signatory to the Chemical Weapons Convention (CWC), the United States is obliged to immediately destroy the smallpox stockpile. If it drags its heels or refuses to eliminate the stockpile, it will face no sanctions and no threat of military action. ← Where Will Obama’s Library Lie?